To hear us live, please keep an eye on our homepage where we list our public performances. Or to hear us in the comfort of your own home, buy our album! Use the links below to have a listen to each track. If you have booked us for an event and would like to buy a CD as a keepsake let us know as we can offer a discount and hand deliver the album on the day. We also have a collection of videos available to view here. If you’re thinking of booking us for a session, please click here to learn more & hear samples of our work. 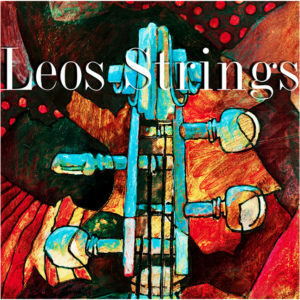 When we heard Leos String playing some of our favourite pop songs we knew we had to have them for our wedding day. Whilst the CD acts as a fabulous reminder of the day, it is wonderful as a standalone CD. There is such a lovely combination of both popular and classical music. I can’t wait for the next one! ..we love listening back to your CD to remind us of those special moments! ..The cd was welcomed addition, as it allowed us to tie in the theme by having same quality music in the background for the guests arrival at the reception. I would highly recommend you to anyone. Thanks again! ..and your CD is a wonderful keepsake – so we can hear you play once again. Rest assured we will take great delight in recommending your services to our friends, family and anyone looking for a string quartet. ..I have listened to the CD and it’s amazing. Please do let me know if you release any more CD’s in the future. I have it playing at the medical centre at work and its great!